As we have become more sophisticated coffee drinkers and frequently stop by our favorite coffee shops for an espresso, macchiato, cappuccino, or other drink, we want to enjoy those same drinks at home and be able to prepare those coffee drinks at home for our friends. One of the best things about coffee is the fact that it can be made in many ways, so no matter the strength, flavor or coffee type you want, it only takes a few minutes to prepare it using the latest espresso machines for home use. Designers and manufacturers of espresso machines have also seen the opportunity in this home market. 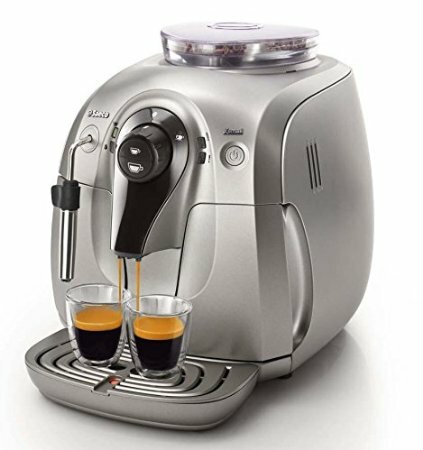 Many manufacturers now have espresso machines designed for home use which are attractively priced, compact, and fully automatic in producing many popular (and delicious!) beverages at the touch of a button. Easy-to-use push button or touch screen controls to produce your favorite espresso drinks with a single push of a button. Simple maintenance to keep your machine working perfectly. Ability to provide heated, frothed milk/crema. We’ve made the process of choosing the right home espresso machine for your needs easier by reviewing the best espresso machines and by providing our buying guide below that has the information you need to make the best purchase for your needs. So whether you are at your favorite coffee house, entertaining your friends at your home, or simply enjoying your favorite espresso beverage yourself, exquisitely crafted drinks are at your fingertips. 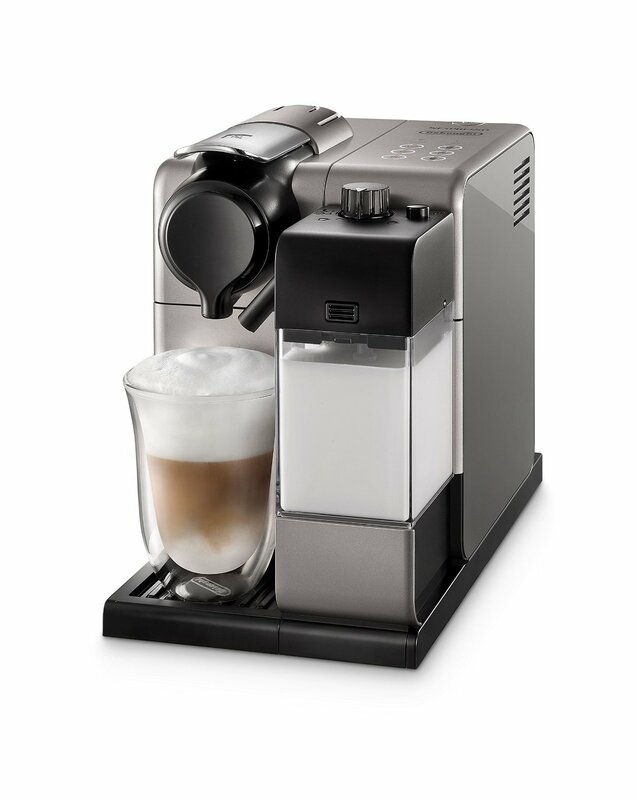 Automatic home espresso machines mean you can have your espresso drink anytime and anyplace you desire! While you may be confused the first time you’re going to hear that there are a few types of coffee machines, don’t let these strange terms confuse you. In fact, the difference between the 2 is very simple. For instance, if you want to be a bit more particular when preparing your coffee, then you should certainly get a semi automatic espresso machine. On the other hand, the super automatic type is for those who don’t have the patience to do anything but press or touch a single button and then wait for a bit while their coffee is prepared for them. As you can probably imagine, each of these types of espresso machines have their own pros and cons and while some users may initially prefer a super automatic type, in time, they may end up getting a semi-automatic due to the fact that these machines require user input and allow users to control every aspect of their espresso shot. You don’t get a built-in grinder, which means that you get to use your preferred Italian coffee beans and fill the portafilter with them and then tamp the grounds. 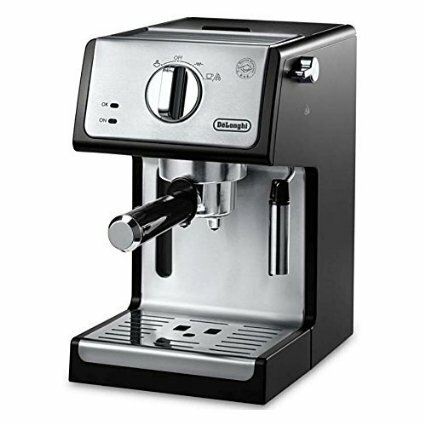 You can operate the espressos pump manually and also need to turn it on and off at the right time. To get the right taste for your espresso shot, you can easily adjust the steam and water flows. Temperature and pressure have been automated in order to ensure you get the best espresso shot every single time. All in all, if you want to ensure that you’re going to get a delicious espresso shot every morning, then it’s recommended to get a semi automatic espresso machine. On the other hand, if you want to make coffee with the push of a button and nothing more, then get a super automatic espresso maker. A lot of people refer to the Jura Impress C60 as the top home coffee machine and they certainly are right about it. First of all, this espresso machine has received a lot of praise not only for the fact that it can prepare some really amazing espresso shots, but also because it has a very impressive design. Check out our full review of Jura Impress C60. The one touch design makes it easy to prepare a wide range of coffee drinks, from delicious espressos to cappuccinos and many more. All you have to do is turn the rotary dial until you see your desired drink on the machine’s display and then press it in order to have the machine prepare it for you. Unlike the previous generations, the C60 features a conical grinder that actually grinds your coffee beans efficiently and fast for maximum flavor extraction, while the Fine Foam technology ensures that feature light and perfectly textured foam is delivered every single time. 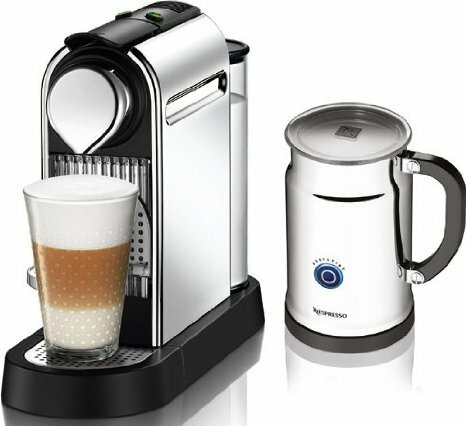 You’ll actually have a blast preparing lattes and cappuccinos that taste simply amazing thanks to this function. The C60 can brew from five to sixteen glasses of coffee, has a 64 oz water tank and is made of high quality black ABS plastic and stainless steel. Given the fact that the spout can be adjusted, it can easily accommodate both larger and smaller cups. Perfection. Precision. Passion. The new Krups EA8250 was designed with these 3 attributes in mind and because of that, it easily ranks as one of the most compact espresso machines on the market today. The unit is manufactured and also designed in France where it’s heavily tested in order to ensure that it provides excellent performance for the most demanding coffee lovers out there. No matter if you’re a coffee aficionado or amateur, the Krups EA8250 will ensure that each cup of coffee you prepare using it is going to taste simply amazing. 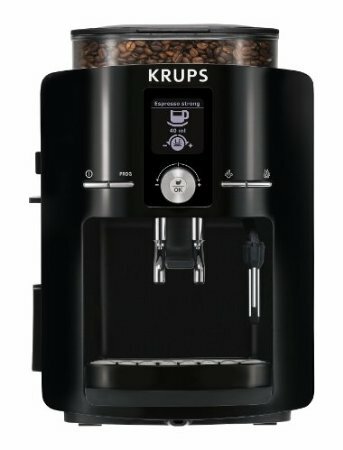 With a metallic burr grinder, a hydraulic automated tamping system and 15 bar pump, the EA82 from Krups allows you to brew your favorite espresso shots quickly, but also prepare a wide range of recipes thanks to its sharp LCD screen that’s going to guide you every step of the way. Check out our full review of KRUPS EA8250 Espresseria Fully Automatic Espresso Machine. The EA8250 features a patented revolutionary compact thermoblock system that ensures each cup of coffee you make is going to taste equally delicious. You also get a 60 oz or one point eight liter removable water tank and a large bean hopper, allowing you to prepare multiple drinks for your friends and family. From now on, preparing delicious coffee is never going to be an issue thanks to the excellent functionality and features of the Krups EA8250. 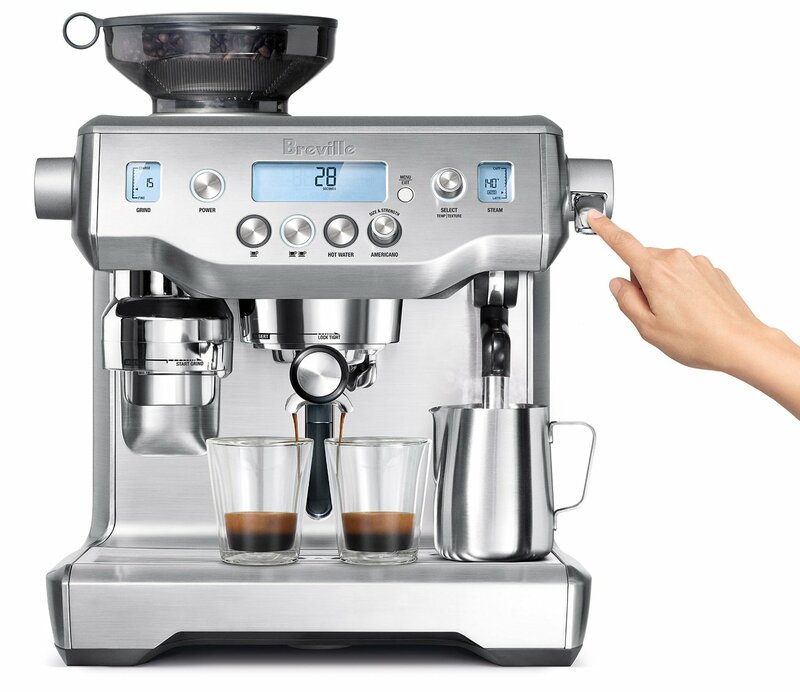 The Breville BES980XL Oracle is the first automatic manual espresso machine in the world and with it, you can finally have the peace of mind that you’ll be able to prepare some of the most amazing coffee drinks you’ve ever had. The BES980XL features automatic milk texturing, tamping, dosing, but also grinding given the fact that it automates 2 of the most difficult parts of the espresso making process, it’s clear what the company is going for: utter customer satisfaction. This particular model is going to extract a double espresso automatically and then mix in the right amount of hot water from your specific choice of strength and cup size. Thanks to this setting, you can finally enjoy coffee- shop quality espresso drinks in just a few minutes. There are of course, many other features that make the BES980XL an excellent choice. For instance, the shot temperature can be programmed from 190F degrees to 205F degrees and you can select the temperature to be displayed in both Degree C or Degree F. On the inside, you get dual boilers (made of stainless steel), but also dual Italian pumps with PID. What’s great about the boilers is that they’re user descalable. With such amazing features, it’s no doubt that the BES980XL will be considered the best by a lot of coffee lovers. The all new EN550S from DeLonghi is certainly one of the higher quality espressos machines out there, not only because it allows you to prepare fresh coffee with the push of a button, but also due to the fact that it’s very user friendly, too. Its streamlined design provides excellent functionality with a very small footprint which is going to be appreciated by those who have a small countertop. The EN550S comes with a 19 bar pressure pump which does a great job at ensuring your espresso shots are going to taste exactly the way you want them to. If you look at the main panel, you’ll notice there are six tactile beverage buttons that you can choose from, including latte macchiato, cappuccino, hot milk, long, but also espresso and ristretto. For cappuccino lovers, DeLonghi has a surprise with their EN550S model: it features the company’s patented automatic cappuccino system, meaning that the cappuccinos you’re going to prepare with it are going to taste a lot better than those you can make with other machines. Speaking of which, the heating up time has been reduced to just twenty five seconds, meaning you can have a cappuccino or cup of your favorite coffee ready in less than a minute. After use, you can just place the milk carafe in the fridge. 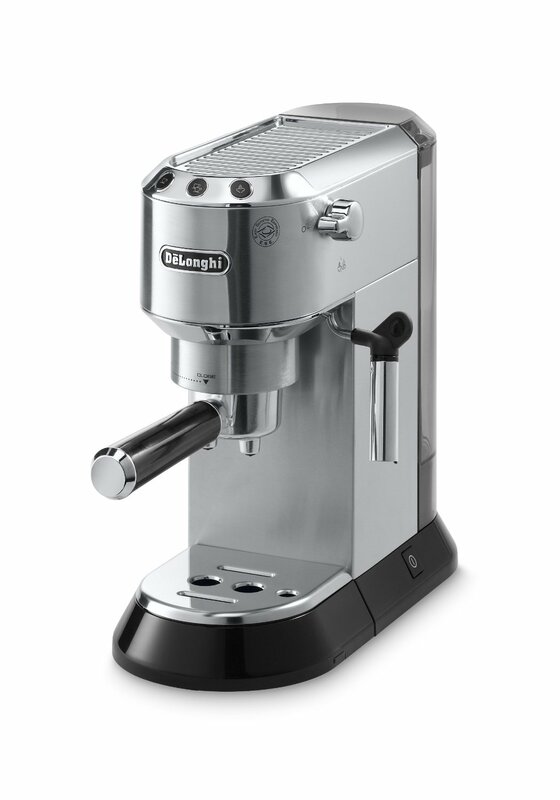 With the DeLonghi EC702 you can easily enjoy a savory espresso that’s made exactly the way you want it. Thanks to the patented dual filter holder, you can easily choose to brew ESE pods or ground espresso. Used with 2 measures of ground coffee, the Sempre Crema Filter greatly improves the brewing process in order to produce that perfect creme we all want to see in our coffee drinks. Also, when used with a single measure of ground coffee or pods, the Easy Serving Espresso Filter is going to make preparing espresso very convenient and simple. Regardless of how you choose to make it, you can have the peace of mind your espresso is going to be made to order. However, if you’re the type who loves drinking cappuccinos, then you can easily prepare the perfect one thanks to the patented cappuccino frother which comes with a special chamber that combines milk and steam in order to create a rich and very creamy froth. Other features you’ll love about the EC702 include the high quality stainless steel boiler, a unique no-drip design, and self priming preparation which abolishes pesky start-up preparation, a 44 oz removable water tank and a 15-bar pump. Designed with the goal to please both coffee and nespresso lovers who, the Citiz C111 features an incredibly modern design which embodies the expression of the marriage between retro modern design and high tech inspirations. What you’ll love about the Citiz C111 is the fact that it allows you to prepare delicious coffee drinks with the touch of a button and unlike other similar models, it can also prepare both cold and hot milk froth. Because of that, enjoying Macchiatos, lattes and cappuccinos is going to be a completely new experience. In terms of ease of use, the Citiz C111 is able to hold ten used capsules which can be easily inserted and ejected. While not as large as the ones found in other models, the 34 oz water tank is enough if you just want to prepare coffee for several people. Just keep in mind that you can only use it with Nespresso coffee capsules. Preheating time is just 25 seconds, which means that you can prepare an espresso shot in under a minute. Some other features you’re going to love about this model include the pivoting cup tray which accommodates taller glasses, programmable and automatic coffee volume quantity and 19 bar pressure pump. 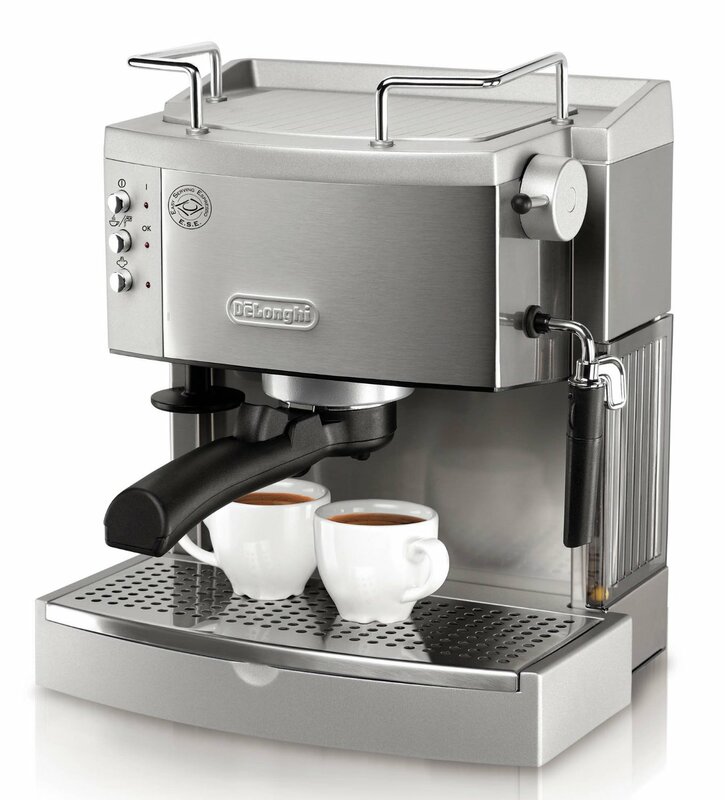 The Citiz C111 set includes the espresso machine itself and the Aeroccino Plus milk frother. The EC680 Dedica from DeLonghi can help you prepare the perfect cappuccino, latter or espresso right at home while at the same time taking up only six inches of space on your kitchen countertop. Given the fact that it incorporates the thermoblock technology, the EC680 Dedica can heat up in as little as thirty five seconds. You also get buttons for automatic flow stop and a sturdy stainless steel construction. Create thick, rich foam for your cappuccinos by mixing milk, water and air with the EC680 Dedica’s patented cappuccino frothing system. If you want, then you can also set it so that it pours hot water for brewing tea or Americanos. Given the fact that this model comes with a built-in steam regulator, it’s perfect for keeping temperature at a safe level. The EC680 Dedica features a fifteen-bar professional pressure pump which means that each coffee drink you prepare is going to have a frothy and rich crema. In order to ensure that all of your drinks will taste equally delicious, the Dedica is going to alert you when you have to descale it. 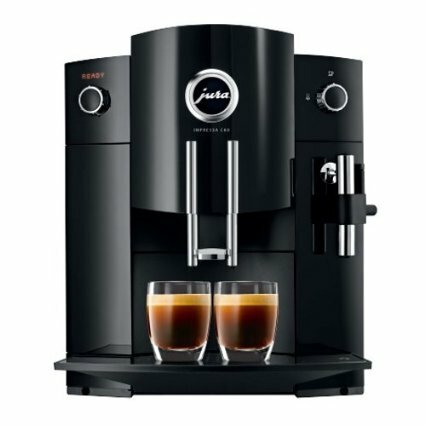 All in all, given the fact that the reviews online also rave about this model, it’s clear that it’s one of the best you can currently get in order to prepare delicious coffee drinks. At the touch of a button, the EN750MB is able to produce thick and rich foam that’s going to make all your coffee drinks taste simply amazing. From now on, you can create barista quality drinks with a single push of a button and without ever leaving your home. Unlike other units out there, the EN750MB features a nice and sharp LED touchscreen that you can use in order to prepare a wide range of drinks. The machine already comes pre-programmed with 6 different drinks, including hot milk, latte, cappuccino, lungo, espresso and ristretto. You can also customize the 6 volume settings by navigating the touchscreen menu, allowing you to prepare larger lattes or stronger espressos. On top of that, thanks to the hot water option, it’s going to be very simple to make hot chocolate or tea. One thing you’ll love about this model is that you don’t need to worry about taking it apart after each use. To clean it, you just have to turn the milk regulator knob to “clean” and that’s about it. Thanks to the pivoting cup support, you can now prepare ristrettos and espressos, but also larger beverages. 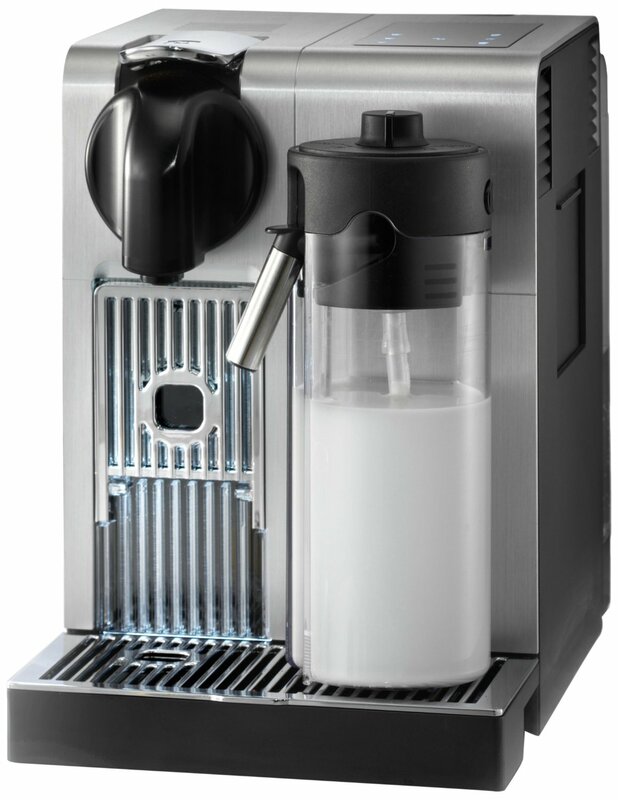 In total, the EN750MB is able to hold up to sixteen coffee capsules and given the fact that it features a removable point five liter milk container, any unused milk can be stored (for later use) in the fridge. Regardless of the type of coffee you love or would like to prepare next, the Saeco HD8745/57 is up to the task. With a single touch of a button, this bad boy is going to immediately grind the beans fresh. Also, in order to add a touch of milk forth pleasure to all your coffee drinks, the company has fitted this model with a steam pipe. Since Philips knows that cleaning is something not many of us like to consider, they’ve designed the Saeco HD8745/57 to clean itself automatically upon switching off or starting up the machine. As a result, each cup of coffee you prepare with it is going to taste simply amazing. Also, no longer will you need to worry about coffee with burnt taste thanks to the one hundred percent ceramic grinders. What makes these special is the fact that they don’t heat up when grinding the coffee, meaning your espresso shots are going to taste amazing. Even better, you can create a custom coffee drink thanks to eh fact that the Saeco HD8745/57 allow you to adjust the grind granularity in five settings ranging from fine to coarse. Regardless if you love double or single espresso or maybe lattes and cappuccinos, the ECP3420 from DeLonghi will help you prepare barista quality coffee drinks in the comfort of your own home. Thanks to its advanced cappuccino system that features a cappuccino and milk selector, you can easily steam milk in order to prepare a creamy and rich froth for very delicious and evenly textured coffee drinks. There are of course, other features you’re going to love about the ECP3420, including the fill stainless steel accents, removable water tank, double layer drip tray, 37 oz water tank and 15 bar professional pressure pump. If you want to fit taller cups, then you’ll be happy to know what the bottom tray can be easily removed to accommodate them. In terms of cleanup, the removable drip tray and water tank make this process very simple and the good news is that the parts are also dishwasher safe. If you’re looking for nothing but the best espresso machine out there, then you certainly need to check the EN550S from DeLonghi. From the very first time you use it, you’re going to be very impressed with how easy it us to operate, but also how delicious the various coffee drinks it can prepare are. Its streamlined design provides excellent functionality with a very small footprint which is going to be appreciated by those who have a small countertop. While many other espresso machines feature a 15 bar pump, the EN550S comes with a 19 bar pump, which does an excellent job at ensuring your espresso shots are going to taste exactly the way you want them. Given the fact that this model offers a hating up time of just 25 seconds, you can have a cappuccino or cup of your favorite coffee ready in less than a minute. Because of these amazing features and more, the DeLonghi EN550S is by far the best espresso machine for home use you can currently get and we highly recommend it for both novice and advanced users. If you crave barista quality coffee drinks prepared from the comfort of your own home, then look no further, since the De’Longhi ECP3420 is an affordable espresso machine that’s going to make that possible. One of the many features you’ll love about it is the advanced cappuccino system that features a cappuccino and milk selector, meaning you can steam milk in seconds in order to prepare a creamy and rich froth for very delicious and evenly textured coffee drinks. But that’s not all. The De’Longhi ECP3420 also comes with a 37 oz water tank and features a fifteen-bar pressure pump for creating really delicious espressos. Given the fact that the build quality is great, the pro of being able to fit taller cups and the great price, it’s easy to see why so many coffee lovers are absolutely crazy about this model. Highly recommended!